Jacob Burke dodges a Waynesburg defender during one of his 20 rushes. He set career highs in carries, yards and touchdowns in the Spartans victory. Another week, another offensive record for the Spartans. Last week it was fourth-year wide receiver Brendan Lynch tying the team’s single game receiving yards record. This week, it was third-year fullback Jacob Burke tying a team record with four rushing touchdowns in Case Western Reserve University’s 35-7 win at Waynesburg University. 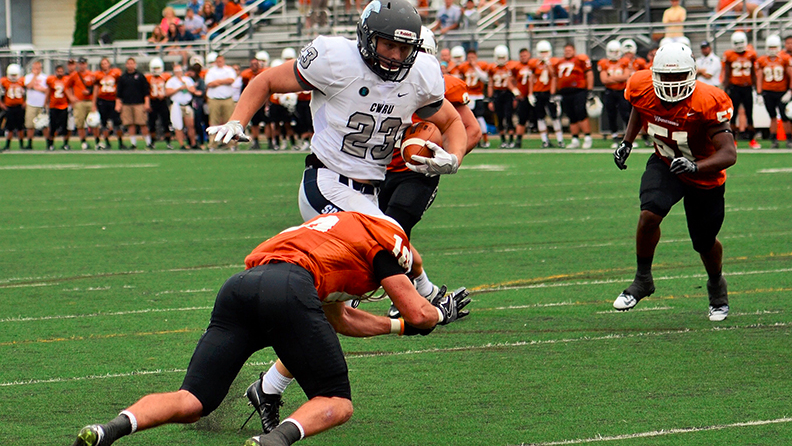 CWRU improved to 3-0 on the year, including a perfect 2-0 in Presidents’ Athletic Conference (PAC) play. Burke’s first score, a two-yard run, came in the middle of the first quarter, giving the Spartans an early lead. It capped off an impressive 11 play, 80 yard drive with CWRU marching down the field against the Yellow Jacket defense. Waynesburg tried to respond, but their drive ended suddenly when third-year linebacker Alex Habeeb snagged the Spartans’ first interception of the game off of a tipped pass. CWRU tallied four interceptions in the game against a quarterback making his first ever collegiate start. It was just one effect of the Spartans’ aggressive defensive play. Another effect was the low point total put up on the board by the Yellow Jacket. After tying the score early in the second quarter at 7, Waynesburg did not find the end zone for the rest of the game. Not allowing points has been a running theme for the Spartans this season as opponents are averaging only eight points per game against them. After each team had a chance to take the lead, Burke scored for the second time near the end of the first half putting the Spartans up 14-7. The drive had everything: medium passes by third-year quarterback Rob Cuda, long runs by Cuda and fourth-year running back Aaron Aguilar and Burke capping it off with a one-yard plunge. 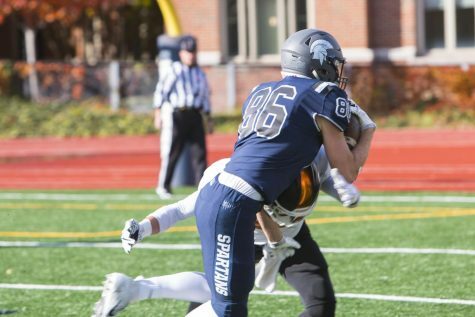 After another CWRU pick, this time by fourth-year cornerback Nick Kwon, the Spartans had the ball again with halftime looming. After making their way into Waynesburg territory, Burke would not be denied a third trip to the end zone. Breaking tackles and sprinting down the field, he scored on a 25-yard rush to put the Spartans up two scores before the half. In the second half, the Spartans ran away with the game, literally. 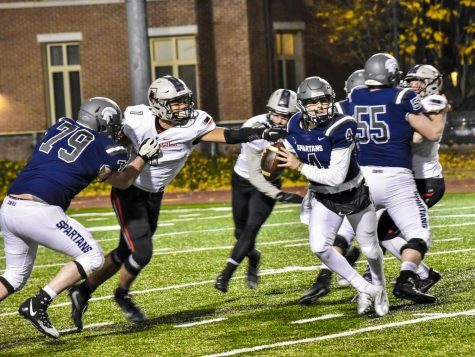 Burke rushed for 93 yards in the last two quarters as CWRU kept feeding him the ball. 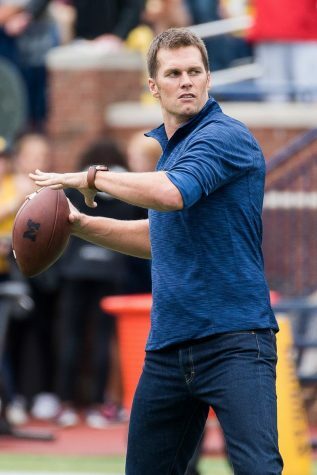 Once he got started, it was hard to take the ball out of his hands. His longest run of the day was a 45-yard dash to the end zone in the middle of the fourth quarter. Burke finished the game with 163 yards on the ground, a career high. The defense did its part as well, shutting out the Waynesburg offense. The Yellow Jackets only threatened to score once, but an interception prevented them from doing so. Third-year cornerback Adrian Cannon was the one with the pick in the end zone, his first of the year. On the very next drive, third-year linebacker Chanan Demery nabbed the Spartans final interception of the game. Also tallying six tackles and a pass breakup, Demery was awarded University Athletic Association Defensive Player of the Week honors. The defense limited Waynesburg to only 57 yards on the ground the entire game. Always a point of emphasis for the Spartans’ defense, stopping the run has been a key to the unit’s success. For the season, they only allow 63.3 yards per game on the ground. Also stepping up for the Spartans defensively were second-year cornerback Andre Orantes who had a team-leading nine tackles and one pass breakup, and third-year free safety Daniel Fabiniak who recorded three tackles and one pass breakup as well. Fabiniak’s performance was particularly impressive as he is stepping into a much larger role due to injuries to other players. Offensively, other players besides Burke had big games. Lynch had his second straight 100-yard receiving game and Cuda threw for 124 yards and ran for 83. The quarterback had a rushing touchdown in the fourth quarter as well. The Spartans return home this week and face their toughest challenge of the season. They will face the undefeated St. Vincent College Bearcats (4-0, 2-0 PAC). CWRU and St. Vincent are two of the three teams tied for first in the PAC, so this is a highly anticipated meeting. Adding to the hype, kickoff is scheduled for 6 p.m., one of only three night games all season for the Spartans. The Spartans’ defense will have its toughest task yet as they try to contain the Bearcats speed. Their top two wideouts average more than 70 yards per game and have four touchdowns a piece. 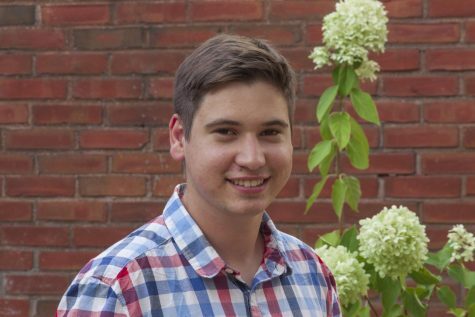 CWRU will counter with an aggressive style of play, hoping to disrupt the Bearcats rhythm. The Observer prediction machine understandably expects a high-scoring back-and-forth affair. However we predict CWRU to remain unbeaten and on top of the conference, pulling away with a 45-38 victory. Come down to DiSanto Field on Saturday to catch one of the most exciting games of the year and support your Spartans. Be sure to stick around post-game for the annual fireworks night, sponsored by Bon Appétit Management Company and FedEx Office.